In the global medical technology space, the orthopedic devices industry will continue to be a promising area, and is expected to rank third in sales after cardiology and in-vitro diagnostics by 2020. According to Frost & Sullivan, the industry generated revenue of $39.40bn in 2016; revenue is expected grow at a Compound Annual Growth Rate (CAGR) of 3.3% to reach $44.82bn in 2020. The emergence of advanced technologies and the rise in orthopedic disorders will drive industry growth. Some of the latest innovations in the industry are discussed below. Orthopedic surgeries that incorporate robotics are less invasive and offer reproducible precision, resulting in shorter hospital stays and faster recovery times. A clinic in Switzerland, La Source, reported a decrease in average hospitalization from ten to six days by using surgical robots. However, this technology is still expensive to acquire, and strong, evidence-based studies are needed to demonstrate that robotic technology leads to better outcomes. The da Vinci Surgical System became the first U.S. Food and Drug Administration (FDA)-approved robotic surgery system in 2000. More companies are investing in this technology to provide better navigation during operations or to obtain 3D scans that help in the design of customized joints. Companies investing in robotics include Zimmer Biomet, Stryker, Smith & Nephew, Mazor Robotics, Think Surgical, OMNlife Science Inc., Intuitive Surgical and Verb Surgical. Zimmer Biomet, for example, added the ROSA robotic device used for brain and spine surgeries to its product portfolio through its acquisition of Medtech. Stryker acquired Mako Surgical Corp. for total knee construction and total hip replacement robotic products, and Smith & Nephew acquired Blue Belt Holdings for a robotic-assisted surgery product for partial knee replacements. Orthobiologics harness the regenerative potential of the cells in the human body. Orthobiologics are made from substances naturally found in the body and are used to improve the healing of broken bones and injured muscles, ligaments and tendons. They include bone grafts, growth factors, stem cells, platelet-rich plasma, autologous blood, and autologous conditioned serum. The Mesenchymal Stem Cells (MSCs) found in bone marrow have proved to be effective in the development of the desired tissues. Recent innovations in this field, including growth factor and stem cell-based strategies, will lead to faster recoveries. Another innovation is drug-eluting bone grafts, which can be used to deal with problems such as orthopedic surgical infection. Clinical studies show that growth factors can accelerate the healing process. Stem cells can continually self-regenerate and can differentiate into any cell type, offering an unparalleled source of regenerative medicine technology. Below are examples of musculoskeletal treatments using stem cells. Bone fractures and non-unions: Progenitor cells give rise to osteoblasts, which become mature bone cells. This stimulates bone growth and promotes healing of the injured bone. Articular cartilage: The lining of joints is called articular cartilage. Stem cells create the growth of primary hyaline cartilage, which restores joint surface. Ligaments and tendons: MSCs develop into cells that are specific for connective tissue. This allows faster healing of ligaments and tendons. Spine: The degeneration of intervertebral discs is a common cause of back pain. MSC injections for degenerative discs have been shown to reduce the incidence of lower back pain and regenerate disc tissue. Companies investing in orthobiologics include Stryker (biomaterials for trauma, spine, and joint replacements), Johnson & Johnson subsidiary DePuy Synthes (spinal care solutions), Zimmer Biomet (advanced biologics solution for joint preservation, cartilage repair products, and osteoarthritis treatment), Smith & Nephew (joint replacement systems and bio-implants), ISTO Technologies (novel bone grafts and concentrated bone marrow aspirate systems for new bone formation in spinal fusions), LifeNet Health (bio-implants for joint repair and trauma), Wright (bone void fillers) and Exactech (spinal and orthobiologic solutions). Biotechnology companies are using stem cells for orthopedic treatment. For example, BioTime focuses on stem cell therapies for age-related degenerative diseases, IntelliCell BioSciences on adipose-derived stem cells for orthopedic disorders, and Bio-Tissue on orthobiological solutions for cartilage defects. Several new surgical procedures are improving outcomes. 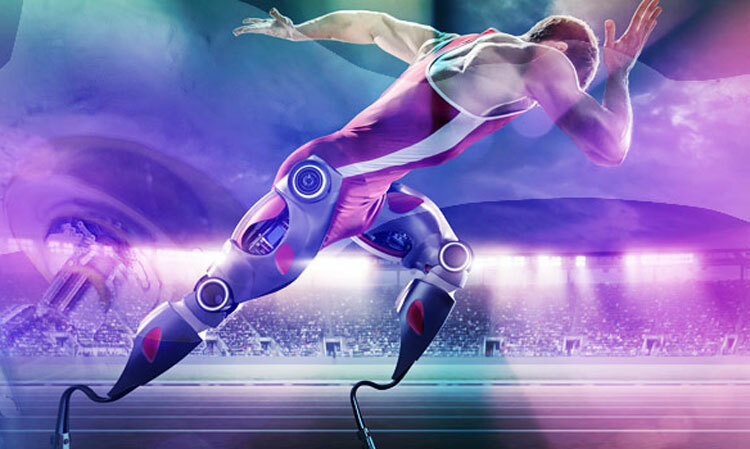 They include motion preservation techniques, minimally invasive surgeries, tissue-guided surgeries, and cement-less joint replacements. Motion preservation techniques include partial or total disc replacement and the use of dynamic stabilization devices and interspinous spacers that do not compromise mobility. Minimally invasive surgeries use endoscopes, tubular retractors and computer-aided navigation systems and require an incision of only 2cm instead of the 12cm of traditional techniques. Minimally invasive procedures are gaining momentum in knee and hip replacements and spinal surgery. Tissue-guided surgery takes cues from the patient’s own anatomy when fitting an implant. This type of surgery uses a pressurized mechanism to indicate how much bone to shave during the procedure. Cement-less knee replacements use components made from crystals or with a coating with tiny holes. This allows the bone to grow onto and bond directly with the component, providing a longer-lasting bond than cement. Companies investing in advanced surgical procedure improvement solutions include Zimmer Biomet, Stryker, DePuy Synthes, Globus Medical and Medtronic. Smart implants have embedded sensors that provide real-time information to surgeons for positioning and post-operative evaluation for better patient care throughout the treatment pathway. These implants have the potential to reduce periprosthetic infection, which is a growing problem in orthopedic practice. Sensor-enabled technologies have given health care providers a choice of unique, cost-effective products. Companies that operate in this space include Zimmer Biomet and OrthoSensor, which entered into a co-marketing partnership for smart implants. Stryker and OrthoSensor are working on a smart knee implant to optimize joint balance during total knee arthroplasty. 3D printing in orthopedics is gaining momentum in the production of customized implants, medical devices and orthotics from diverse materials. 3D printing technology reduces surgery times, saves money, leads to better stability of the implant in the long run, and improves the clinical outcomes of surgical procedures. Instruments: Polymer printing technologies are used for customized surgical guides that improve surgical precision. Implants: Metal 3D printing is used to create patient-specific implants. Size-controllable micro-pore structures promote better integration between metal and bone. Anatomical models: Plastic-formed models allow surgeons to practice before an actual surgery. Biologics: This produces tissues and simple structures for surgical repair using bio-ink. Johnson & Johnson, Stryker, and Zimmer Biomet, are among the companies investing in 3D printing. Stryker has established a facility for 3D-printed titanium devices. Zimmer Biomet has received FDA clearance for a few 3D-printed products, such as an ankle fusion system. Innovations in diagnostic and surgical imaging are helping surgeons to better evaluate, plan and execute surgeries. 3D imaging for 3D evaluation before, during and after surgery could improve implant positioning; software is used for an accurate and reproducible 3D standing reconstruction of the musculoskeletal system. In the future, full automation of 3D imaging will be possible. Surgical navigation and imaging systems help surgeons make data-driven decisions by integrating surgical planning software, instrument tracking technologies and intraoperative imaging to accurately track instruments in relation to a patient’s anatomy during a procedure. Medtronic launched the StealthStation Surgical Navigation System to help surgeons make data-driven decisions. Other companies investing in these technologies include Siemens Healthineers, Philips, GE HealthCare and Carestream Health. Therapies and procedures that reduce time and costs and provide optimized and personalized outcomes are expected to increase as innovative technologies continue to shape the industry. Intelligent orthopedics—a combination of traditional techniques and high-end technology—will be the future of the industry.